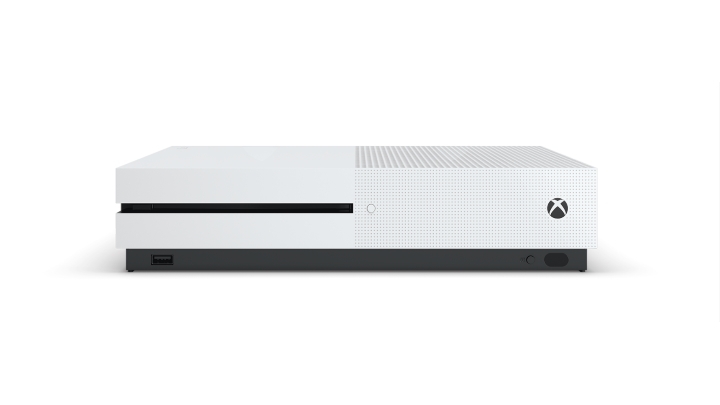 Microsoft unveiled the Xbox One S in its E3 briefing on June 13, the new Xbox model aimed to replace the current Xbox One and which will be available for purchase starting this August. This wasn’t a surprising move to be honest, as rumours of a new Xbox console had been circulating online prior to the E3 reveal, although the Xbox One S is actually not any more powerful than the vanilla model (gamers will have to wait until next year when Microsoft will release the new and much more powerful Xbox Scorpio model). But clearly few industry pundits were surprised by Microsoft’s announcement of the Xbox One S console, which is a slimmer, lighter, and more affordable model (it will retail at $299 in the US). After all, one of the chief complaints about the Xbox One until now was the console’s bulkiness, as it’s quite a bit heavier and more voluminous than a PS4, which perhaps explains why Microsoft’s console tanked so badly in Japan, as the Japanese public is said to prefer lightweight electronics, and is surely one of the reasons why the PS4 has outsold the Xbox One to date. Thankfully though, it won’t be such a nightmare to carry the Xbox One S around, as its 40 % smaller than the original model according to Microsoft, plus it also does away with the huge power brick (it’s built into the console now). So will this new “slim” Xbox One model help Microsoft turn the tide in the console war? Sony’s advantage appears unassailable right now, as the PS4 has sold more than 40 million PS4s to date and is still going strong. And while it can be argued that the PS4 is a better console than the original Xbox One, the new S model makes the Xbox One a more attractive console overall, especially thanks to its support for 4K video (for movie playback). Also, despite the fact that most games have ran at higher resolutions on the PS4 so far, it’s likely that most people won’t be able to appreciate the difference in practice, while the Xbox One has a strong line-up of exclusives like Halo 5: Guardians and the upcoming Gears of War 4 that can compete with the likes of Uncharted 4 on the PS4. So it is clear that all’s not been said and done in the console war yet, and that Microsoft still has a chance of catching up with its arch rival Sony this console generation, although it is clear that things will truly get interesting next year with the release of more powerful versions of the Xbox One and PS4. In the meantime, those sitting on the fence regarding whether to get either console should definitely take the new Xbox One S into account, as its certainly the kind of machine many gamers wished the original Xbox One had been when it debuted back in 2013, and it’s also an attractive console to boot.